Historically, Black Americans have easily found common ground on political, social, and economic goals. Yet, there are signs of increasing variety of opinion among Blacks in the United States, due in large part to the influx of Afro-Latino, Afro-Caribbean, and African immigrants to the United States. In fact, the very definition of "African American" as well as who can self-identity as Black is becoming more ambiguous. Should we expect African Americans' shared sense of group identity and high sense of group consciousness to endure as ethnic diversity among the population increases? 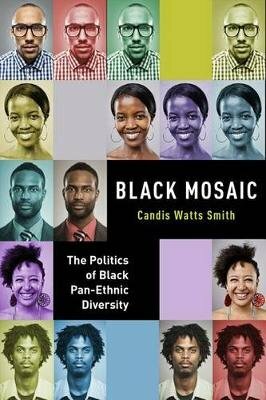 In Black Mosaic, Candis Watts Smith addresses the effects of this dynamic demographic change on Black identity and Black politics. Smith explores the numerous ways in which the expanding and rapidly changing demographics of Black communities in the United States call into question the very foundations of political identity that has united African Americans for generations. African Americans' political attitudes and behaviors have evolved due to their historical experiences with American Politics and American racism. Will Black newcomers recognize the inconsistencies between the American creed and American reality in the same way as those who have been in the U.S. for several generations? If so, how might this recognition influence Black immigrants' political attitudes and behaviors? Will race be a site of coalition between Black immigrants and African Americans? In addition to face-to-face interviews with African Americans and Black immigrants, Smith employs nationally representative survey data to examine these shifts in the attitudes of Black Americans. Filling a significant gap in the political science literature to date, Black Mosaic is a groundbreaking study about the state of race, identity, and politics in an ever-changing America.